A bunch of us just got back from Leadership Retreat and what an amazing event! I am going to try and attempt to share my notes the best I can here! doTERRA Leadership Retreat lunch with our leaders, Natalie & Andy Goddard, the person in charge of all of China, Matthew Hall, Suzanne Hall and the rest of us! First, you can’t imagine what it is like to spend time with such amazing leaders, Natalie and Andy Goddard, Matthew Hall and his mom Suzanne hall took us to lunch on Wednesday. 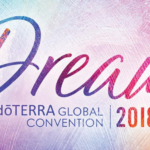 I got to sit between Andy Goddard and the leader of doTERRA in China. Holy cow, spending time with such amazing people and they are just like us. They wear jeans, and are still learning to be better leaders themselves, it is so refreshing. 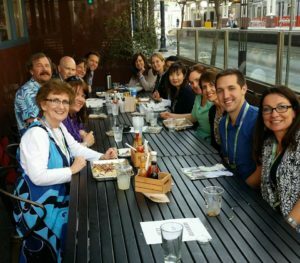 I loved spending time with some of the top doTERRA leaders and feeling of your incredible energy! 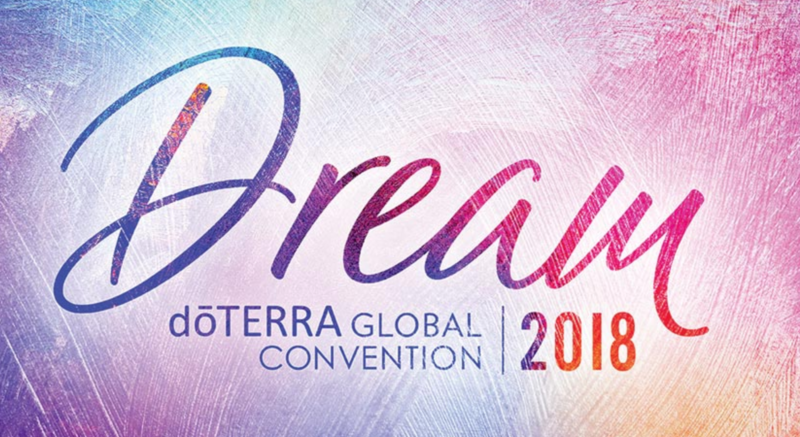 Part of what makes every doTERRA event so wonderful are the special announcements. 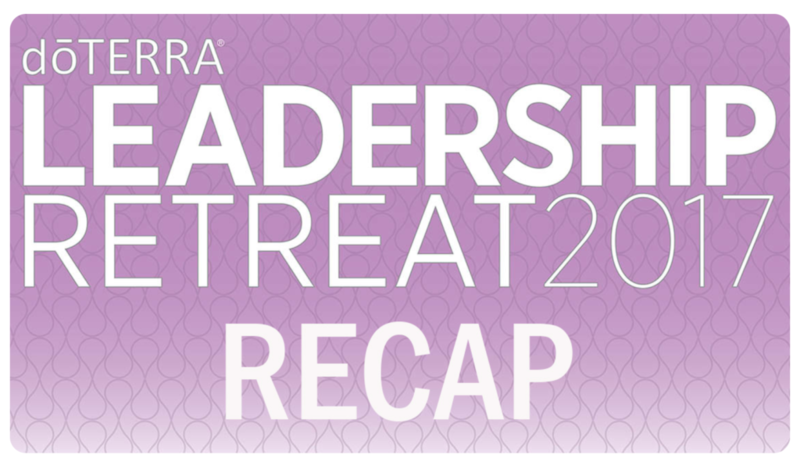 Read on to learn more about the exciting new announcements that came out of Leadership Retreat. I have to apologize for the poor quality of slide photos, it was dark in the room and they where moving fast! As of Jan 2017, all of these goals have been met. 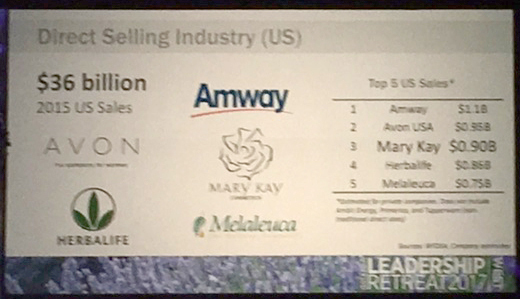 doTERRA is now the #1 MLM Marketing company in the USA. If you google, you will find that Amway is listed as number 1, with sales topping 1.18 billion. doTERRA doesn’t report their earnings. doTERRA is at almost 2 billion. This is amazing. This shows that there is a huge underground movement of people wanting to take control of their own health care. With all of the research that I have been doing, I am more and more understanding the movement and more understanding how lucky I am to be a part of this movement. Our voices need to be heard. It is time to stand up and make a difference even more. top MLM company in the USA! This was pretty cool to hear, nothing better than going after the market of the medical world as it stands. Meaning, let’s take and make a huge difference by interrupting the medical world that is not broken but totally corrupt and dysfunctional beyond repair! The future we are trying to accomplish will be accomplished. There is not another company that can do this. doTERRA has currently 120 active medical relationships. There are 20 doTERRA papers submitted for peer-reviewed publications, with five of those papers already published. Dr. Hill asks that leaders please not try and work with doctors and hospitals personally. At this time, it’s best to let Dr. Hill and his team start working on those relationships. Establish a standard of care. 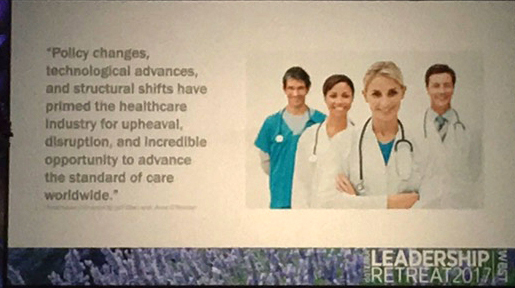 If you want to learn more or contact Dr. Hill about healthcare professionals, please email healthcare@doterra.com or visit https://sourcetoyou.com/healthcare/. Creating continuing medical education and symposiums. Getting physician forums and participation. 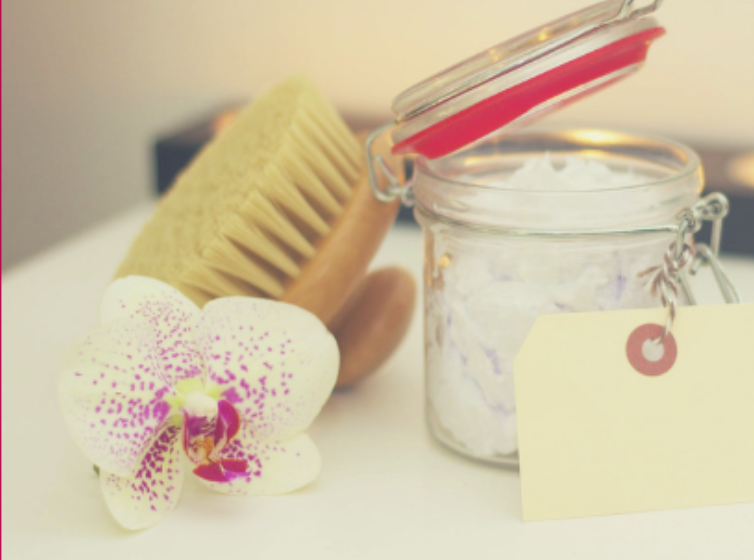 How can Wellness Advocates help? Emulate our common mission and purpose. Let doTERRA do the difficult work. So yes, doTERRA is an amazing company, they decided to bring more money shares down to some of the ranking levels! They increased the commissions for Premier and Silvers! 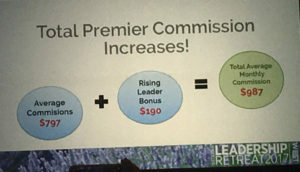 doTERRA is excited to announce a compensation plan enhancement that provides an additional bonus to actively building Premier and Silver ranked leaders. 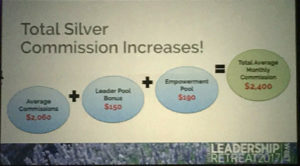 This pool is intended to empower emerging leaders with additional income to continue building their doTERRA businesses and to recognize and reward their efforts. Corey Lindley announced that Earnings Disclosure Statements (EDS) are now available. The doTERRA Healing Hands Foundation is doTERRA International’s registered 501(c)(3) non-profit organization committed to improving lives through partnering with organizations that offer hope to millions around the world. Healing Hands seeks to bring healing and hope to the world, for lives free of disease and poverty, and to ultimately empower impoverished communities with the tools needed to become self-reliant. doTERRA provides for all overhead and administrative costs of the Healing Hands Foundation, ensuring that 100 percent of all donations go directly to those receiving aid. Convention 2017 is almost here! The theme this year will be “You.” The focus is going to be on you. Photos will be of real Wellness Advocates around the globe. This convention will be groundbreaking! 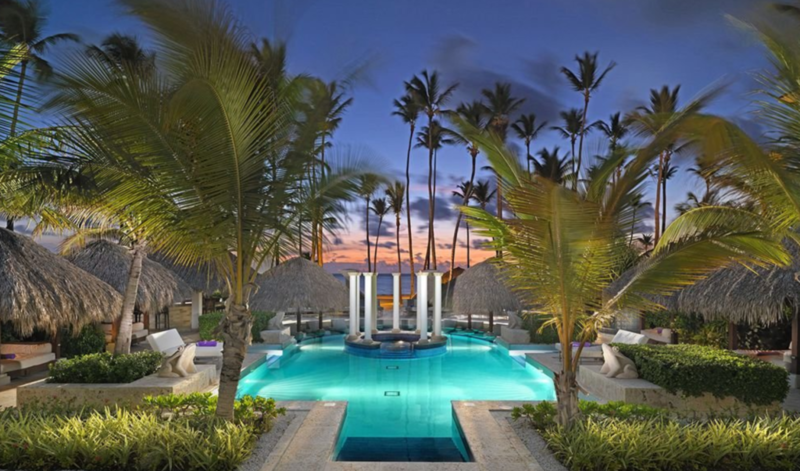 The 2018 Incentive Trip will be Dominican Republic at the Paradisus Palma Real Resort. Dates will be February 5–9, 2018 with the qualification period beginning March 1 – August 31, 2017. We’ll be in both Orlando and Long Beach again in 2018! Orlando will be March 13–15, 2018. Long Beach will be March 26–28, 2018. We’ve brought back Regional Summits. These summits are product education for 1 ½ days. There are five dates for the U.S. and two dates for Canada. Price is $49/person. For questions, email events@doterra.com. This spring we’re launching beautiful new packaging for the Diamond and Every Oil Enrollment kit. All enrollment kits will soon receive a makeover. Beginning April 2017, Wellness Advocates can purchase Disaster Relief Hygiene Kits. 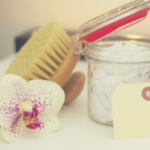 The kits include doTERRA Soap, doTERRA Shampoo and Conditioner, toothbrush, doTERRA On Guard® Toothpaste, Band-Aids, 15 mL doTERRA On Guard, and Deep Blue®. This is something when you buy it goes to storage and is ready to go when there is a disaster. You don’t get this kit for your own keeping. The price is $25 with 25 PV. 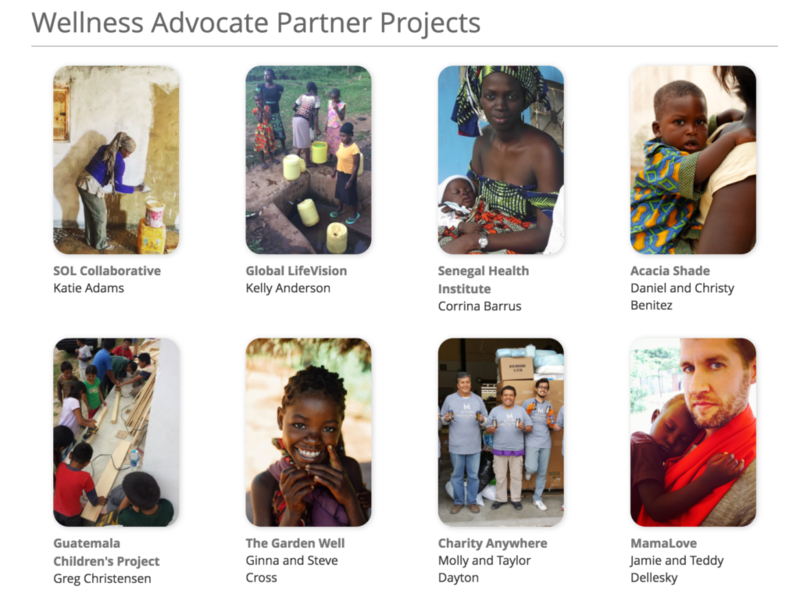 Wellness Advocates can purchase four hygiene kits for $100/100 PV or 20 hygiene kits for $500/500 PV. doTERRA will do the actual kit donation. Coming soon will be a Meal Replacement Shake and an Emergency Nutrient Option. Both are still in development. We’re excited to announce a new team in Member Services! The Business Advancement Team will be up and running by April 3, 2017! The purpose of the Business Advancement Team is to help downlines push to get to Premier and to get the Empowerment Bonus. ALL Wellness Advocates interested in becoming leaders, and anyone interested in becoming a Wellness Advocate, will have access to this team. If you’d like to contact the Business Advancement Team, call 801-370-2140. Technology Update for our new back office! 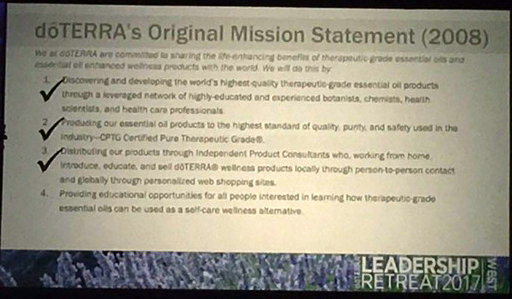 doTERRA has embarked on a multi-year journey to replace all major systems. 2015 was a year to lay the foundation; 2016 we began to see some of the structure take place; 2017 is when we’ll start to see the building.